Does Andrew Sullivan Know About This? Or Tbogg? Personalized artwork made from your DNA — or, as in the photo accompanying this article, of your beagle’s DNA. 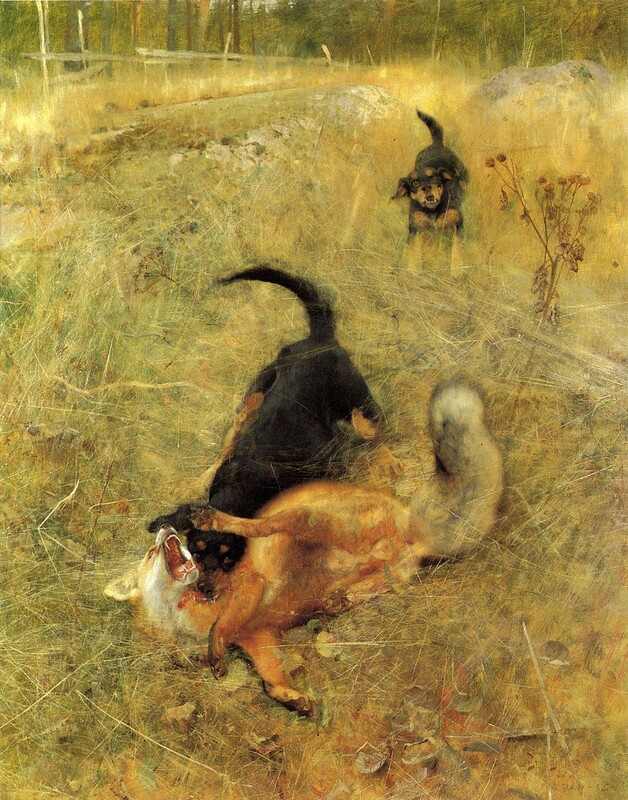 Image: Bruno Liljefors, “Beagle and Fox,” 1885.